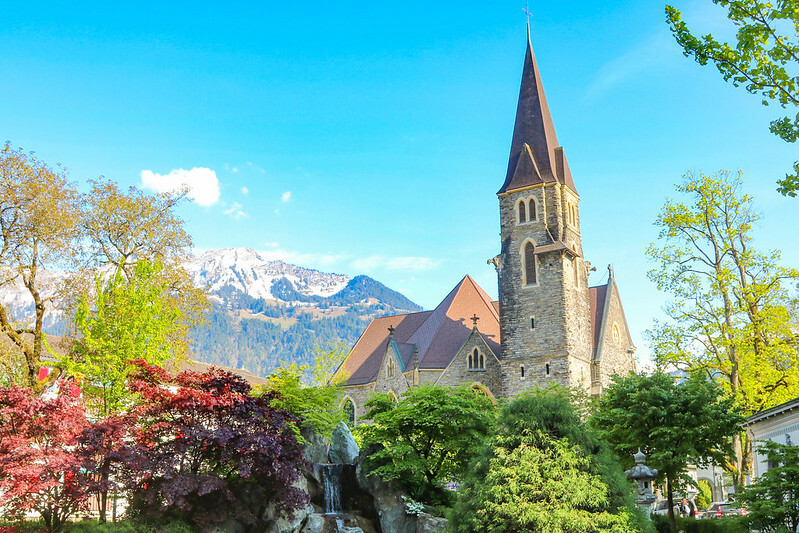 Tucked between two lakes, Lake Thun and Lake Brienz, and surrounded by the snow-capped Swiss Alps, Interlaken Ost and West is truly blessed with a natural beauty. 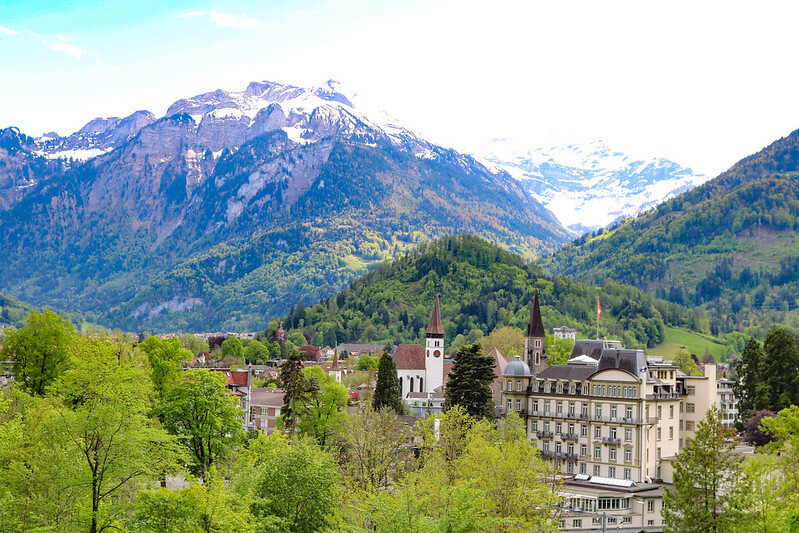 Almost a million travelers visit the small town every year – and rightfully so because the mountainous area around Interlaken is one of the most beautiful and adventure-packed in Europe. I went to Interlaken for 3 days in May to do some hiking, look for waterfalls, ride the Jungfrau trains (which is an activity in itself) and tons of other fun adventures. Have you been to Interlaken? And have you tried Swiss chocolate? Interlaken is small enough to get around on foot and there’s just a 5-minute walk from Interlaken Ost to Interlaken West. The town has two stations, and Interlaken West is closest to the city centre. 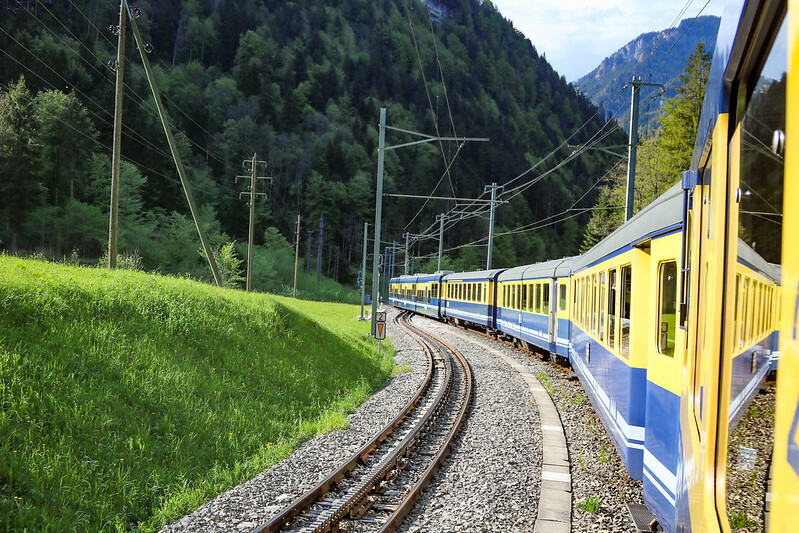 Most trains stop at both stations, except for trains to Luzern, Lauterbrunnen and Grindelwald, which stop only at Ost station. Click the small train icon below the red pins to see train and bus options. Hotel Interlaken $110 a night for a single room, just 5-minutes walk from Interlaken Ost train station and the city centre. The 4-star hotel has a great restaurant and a nice Japanese garden outside. Comfortable, clean rooms and good customer service! I loved staying here. Click here to see the latest prices. Hotel Tell $60 for a single room, a 15-minute walk from the train stations. The owners are very helpful with organising tours. Click here to see the latest prices. Interlaken Youth Hostel $40 a night for a single room with a shared bathroom, excellent location in the city centre. Great for solo travelers. Click here to see the latest prices. There are quite a few action-packed hubs around the world. You might already know Queenstown in New Zealand (adventure capital of the world) or Innsbruck in Austria (super popular for winter sports). 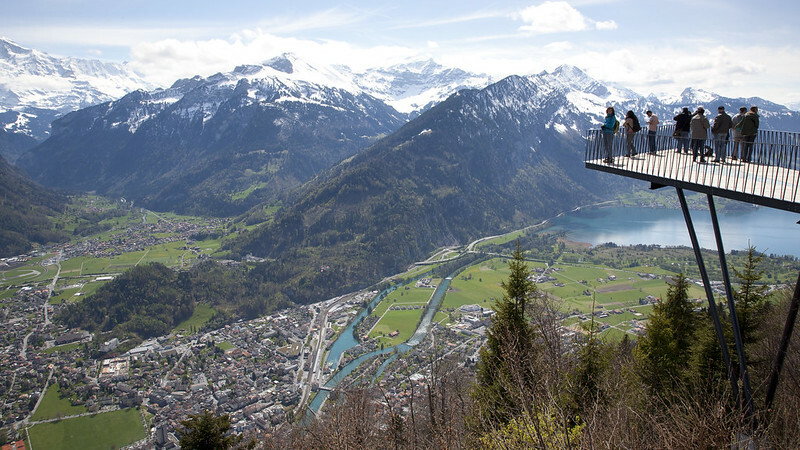 Interlaken is the world’s second largest adventure hub and it’s a mecca for those who seek extreme sports and outdoor adventures. The town itself is small and easy to navigate. But since most activities are located around Interlaken, its mostly used as a base for eating and sleeping. Go to nearby Alpine towns, like Grindelwald and Lauterbrunnen. 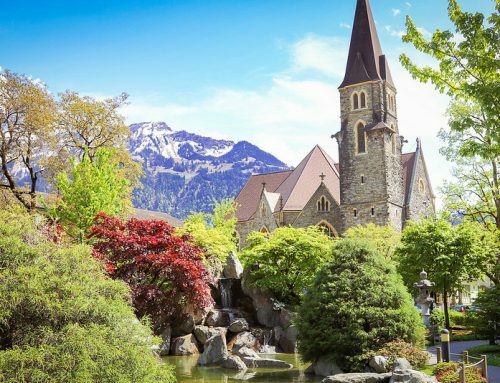 If you’re not into throwing yourself out of a plane, there are plenty of other fun things to do in Interlaken. 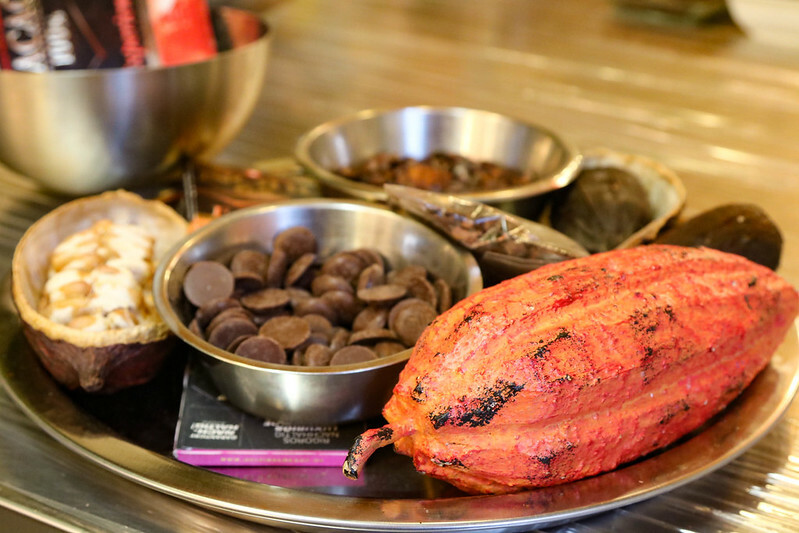 My favorite activity in town was chocolate making.. and eating, and I’m sharing all the chocolaty details below. 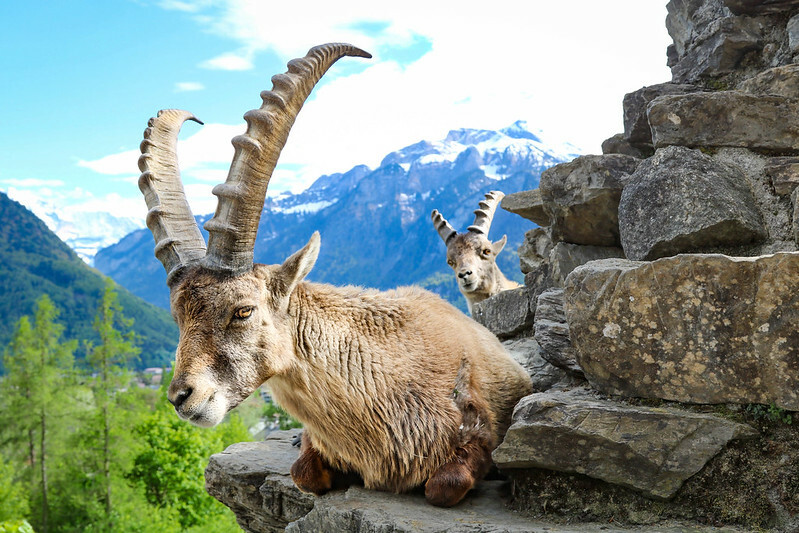 Before coming to Switzerland I’d never seen an ibex. I’ve seen pictures of them, but never met a real one. 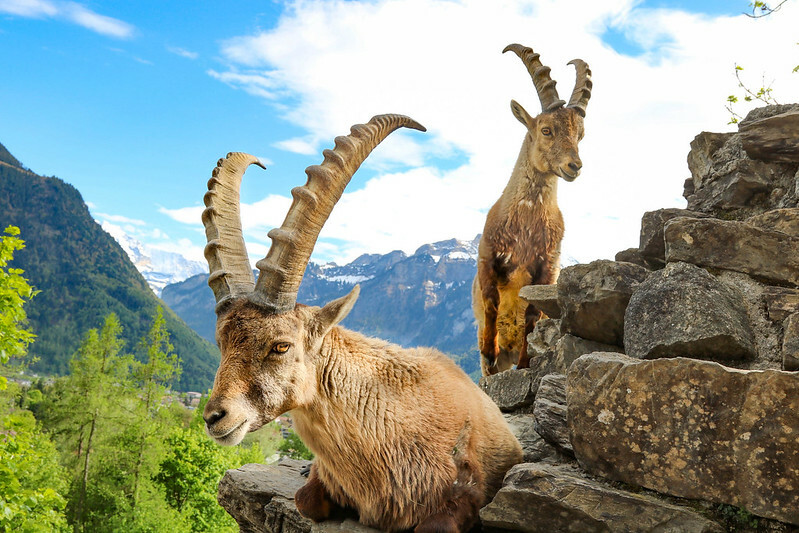 Ibexes are a rare breed in the Alps and for that reason the Interlaken Alpine Game Park was built to save them. 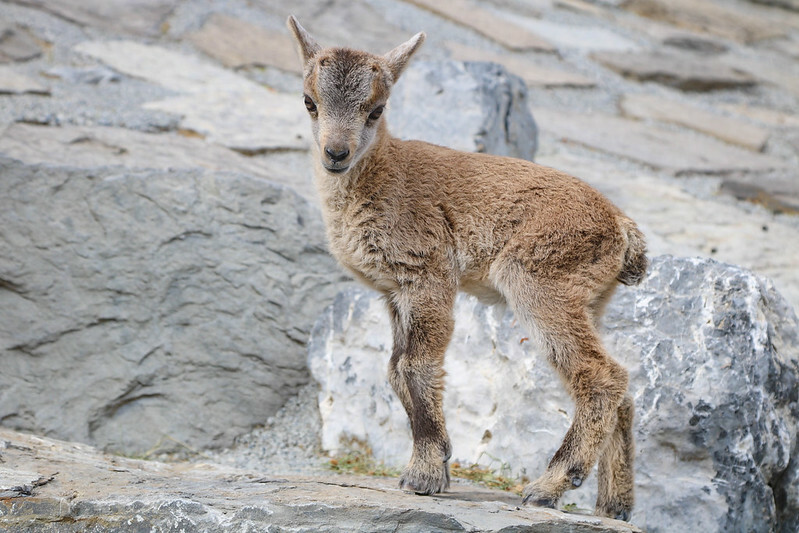 I was fortunate to be invited inside and meet the ibex flock, including the youngest who was only 1 week old. I was really surprised to see how curious and funny they were. 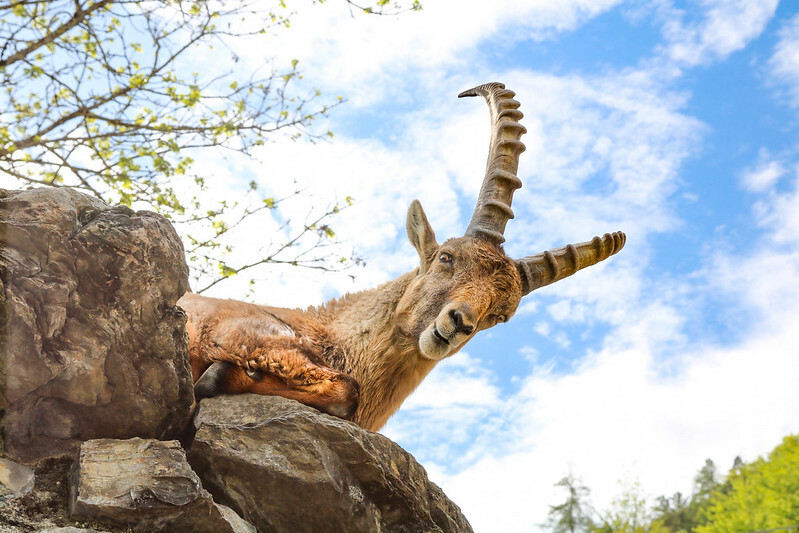 One of them, his name was Sigurd, was a 5 year-old male who kept posing like a model and showing off his curved horns when I took pictures. So cute. From the viewing platform at 1,322 m, you have an amazing view over Lake Brienz and Lake Thun, the Eiger, Mönch, and Jungfrau. You can get there by funicular from the Harder Railway valley station (just a short walk from Interlaken-Ost railway station). It takes 10 minutes and there’s a restaurant at the top. See more details here. 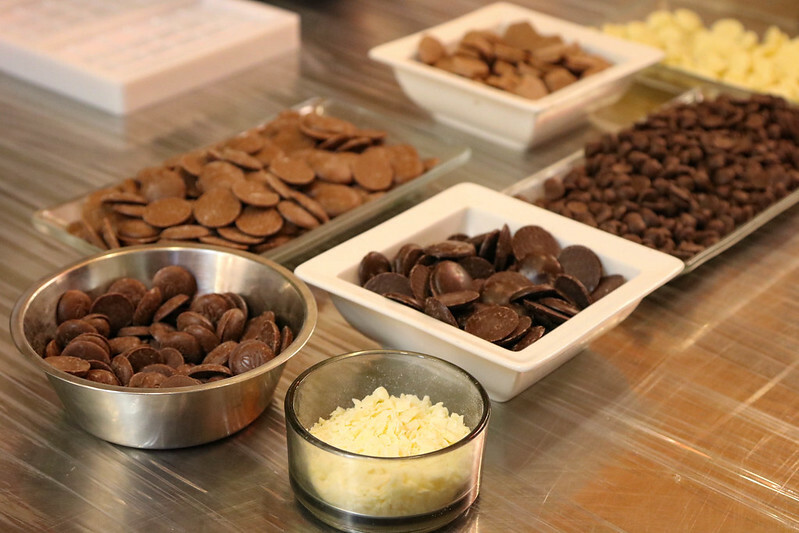 On my last day in Interlaken, I joined a Swiss chocolate workshop at the Funky Chocolate club. And guys, it was SO much fun! 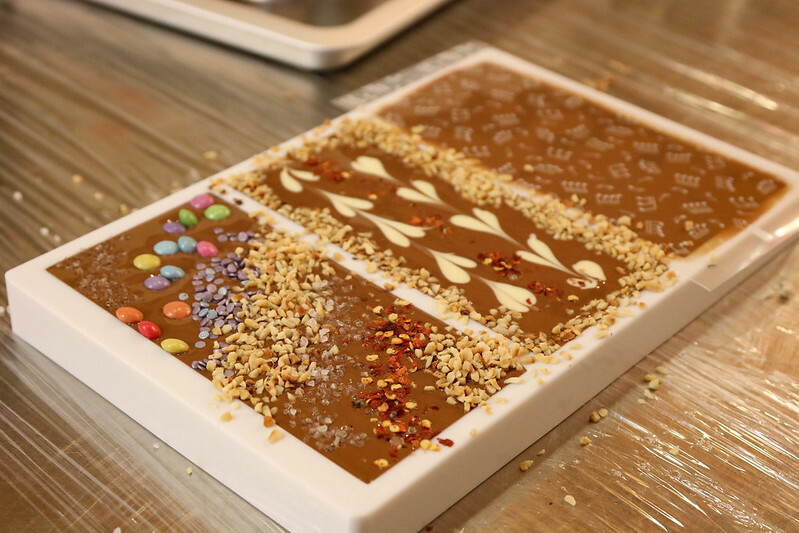 The course lasted one hour and I was introduced to the art of Swiss chocolate making while eating so much that I could hardly walk afterwards. 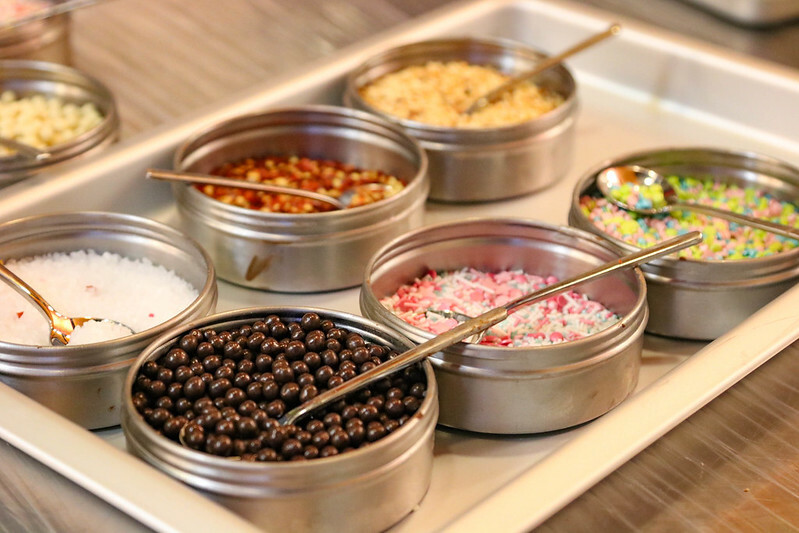 After a brief introduction to how it’s made, we each got a bowl and some melted chocolate. 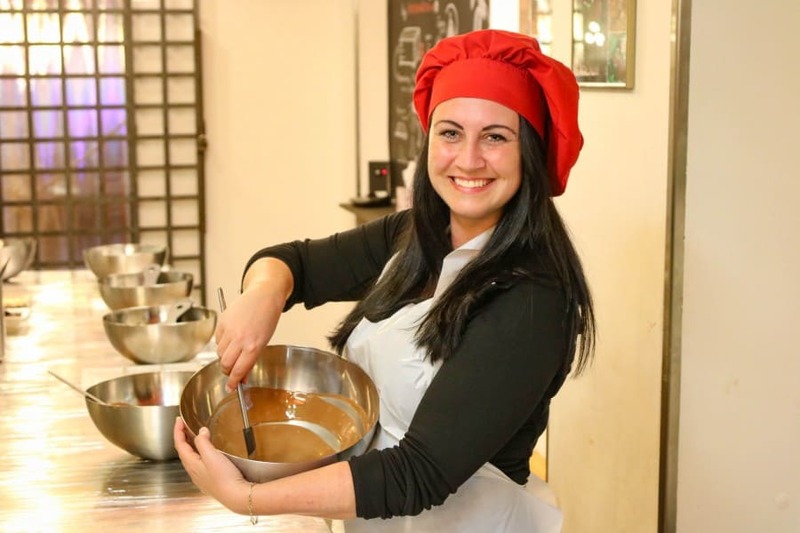 I stirred and stirred until it had just the right temperature, all while listening to yodeling music and laughing at with the chocolate assistant Vladimir. 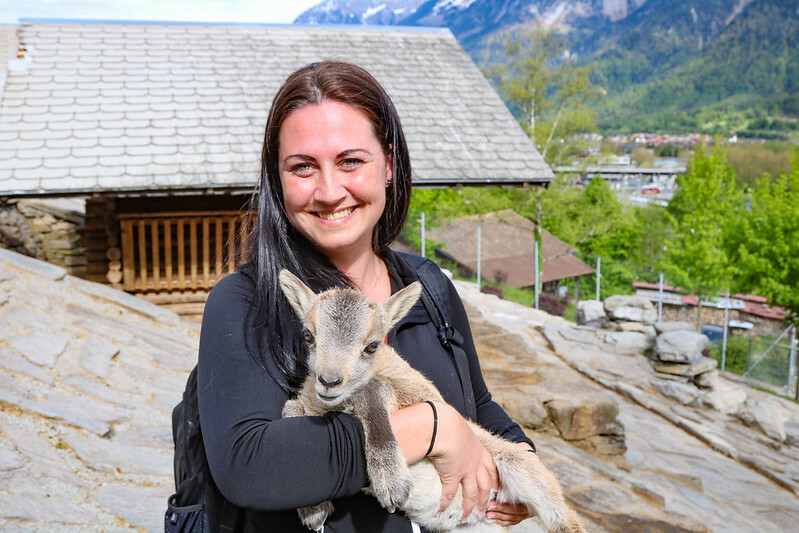 So, as you can hear I really loved visiting Interlaken. It’s a beautiful area in Switzerland and I already have a long list of things I want to see when I return. Many thanks to My Interlaken for hosting me in Switzerland. Whenever I travel, there will always be full disclosure about whether my stay was hosted by a tourism board. And even if I’m on a press trip, my view will never be swayed one way or the other. I’ve always loved the mountains of Switzerland and on top of my lists to do is canyoning and skydiving from Interlaken. I’ve only had toblerone for Swiss chocolate, but it’s my favorite. 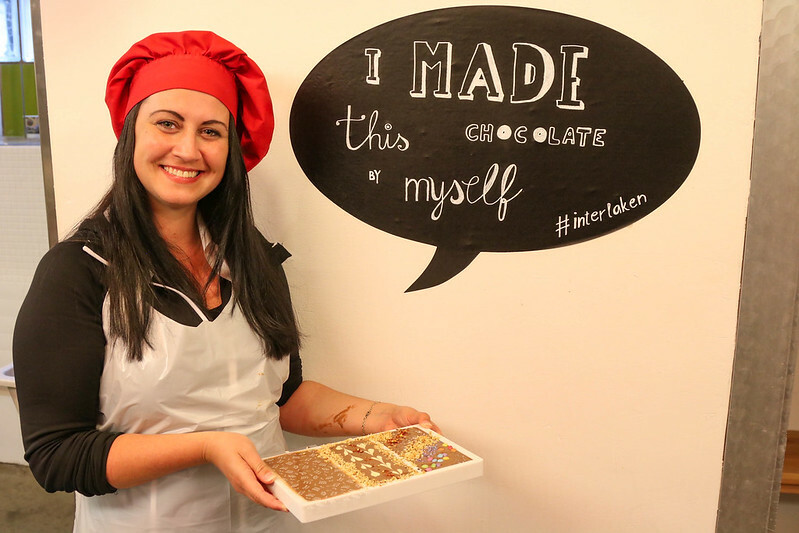 The chocolate making looks fun! That sounds like such fun! 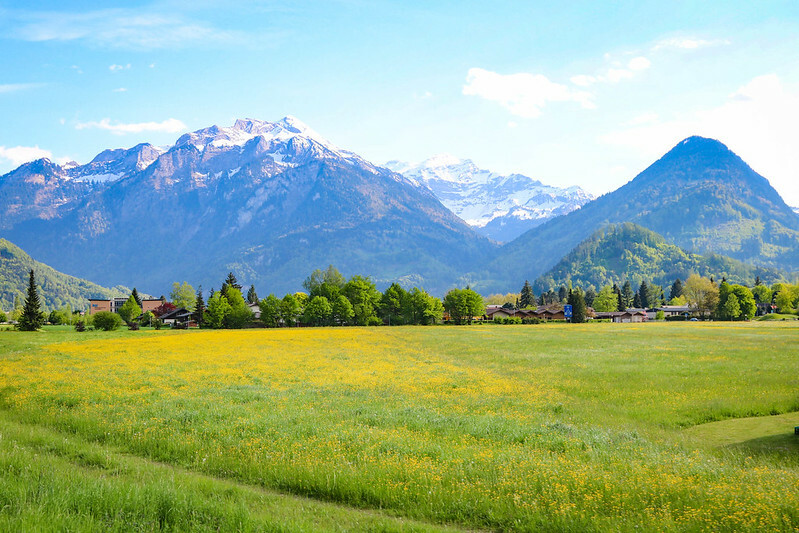 Interlaken is definitely the place to go if you’re looking for adventurous things to do. 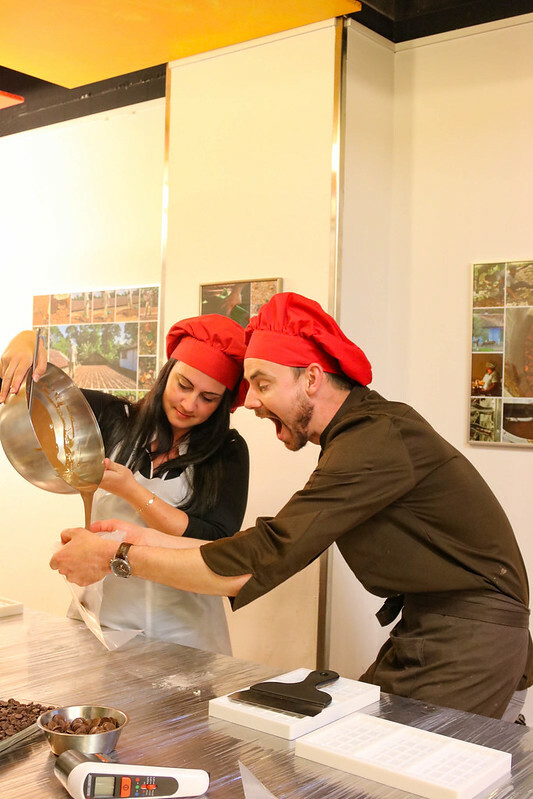 Plus, the chocolate workshop is one of the most fun activities I did on this trip. I highly recommend it if you get to Interlaken. 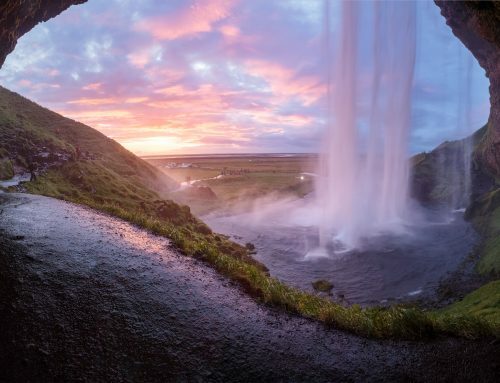 What stunning scenery! Indulging in Swiss chocolate and then working it off on a hike in those beautiful mountains sounds like a dream day! 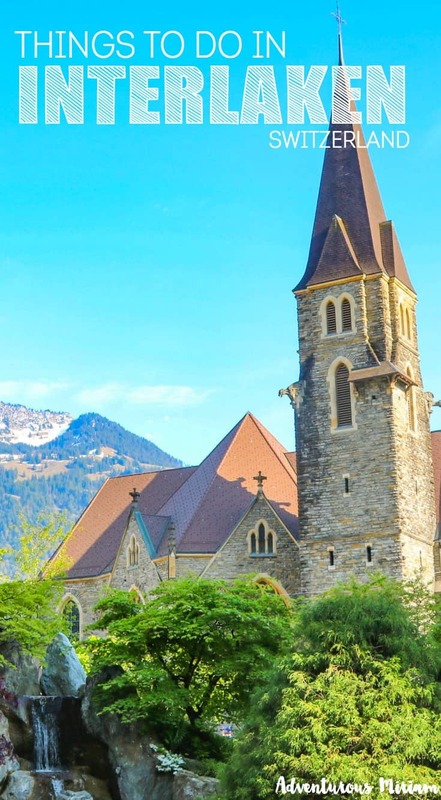 This family-friendly tour is the perfect way to explore Swiss culture and see the best of Interlaken with ease. It s also ideal for visitors to Interlaken looking for town-based activities to make the most of their time. Absolutely! 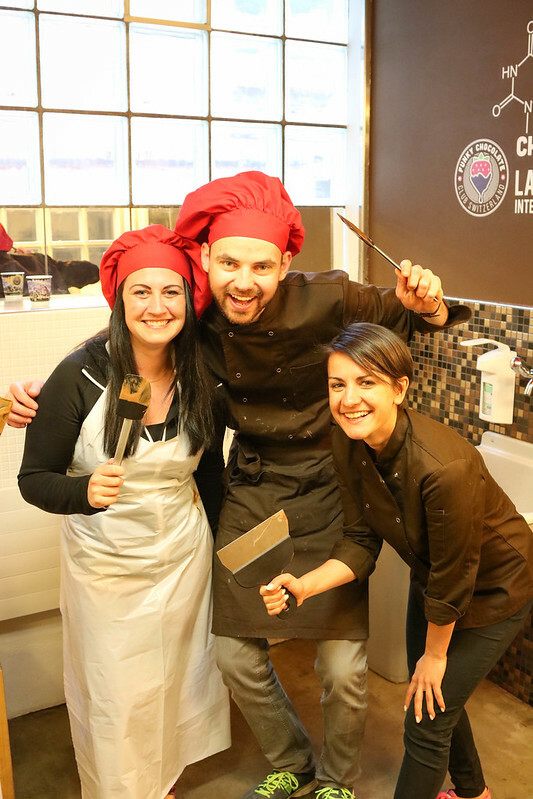 Interlaken has a lot to offer activity-vise! Thanks for such a great glimpse into Interlakken activities and the beautiful sceneries! My husband and I will be there the first week of October, any recommendations for places to stay? 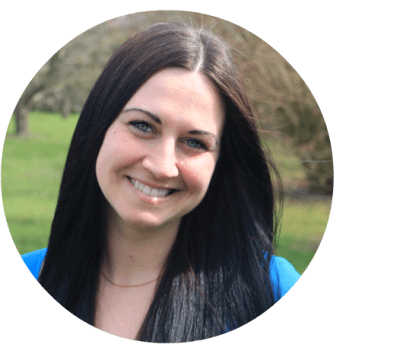 You’re welcome, Kate! I stayed at Hotel Interlaken which I was quite happy with – great service and nice rooms + restaurant. It’s centrally located, too.